New Zealand and Australia are working together on a trial of satellite-based augmentation system (SBAS) technology for both countries in 2017 and 2018. LINZ is co-operating with Geoscience Australia in delivering the trial. It will improve the accuracy of GPS and other satellite navigation systems, so accurate positioning information can be received anytime and anywhere across New Zealand. SBAS will make positioning data, like GPS, even more accurate than it is now. This data is fundamental to a range of applications and businesses worldwide. It increases our productivity, secures our safety and propels innovation; enables GPS on smartphones, provides safety-of-life navigation on aircraft, increases water efficiency on farms, helps to locate vessels in distress at sea, and supports intelligent navigation tools and advanced transport management systems that connect cities and regions. Over 30 projects have been funded to demonstrate the potential use of SBAS technology across the following ten sectors: aviation, road, rail, maritime, spatial, construction, mining, utilities, consumer and agriculture. The projects will be undertaken at different times between October 2017 and January 2019. The outcomes from the projects will contribute to a New Zealand – Australia benefit study that will help the respective Governments decide whether to pursue the development of an operative SBAS service. Subscribe to a mailing list for updates by emailing crm_geodetic@linz.govt.nz. 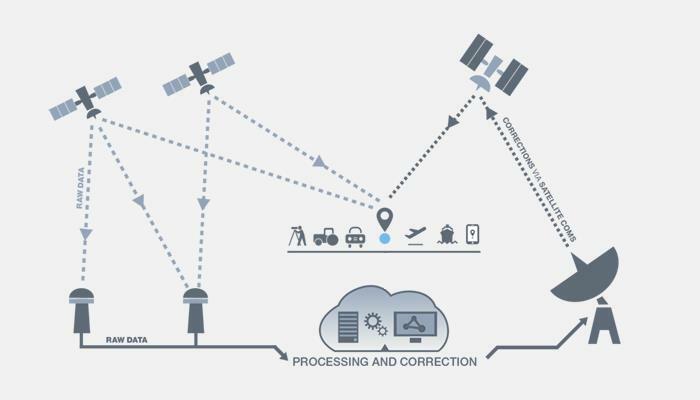 A Satellite-Based Augmentation System (SBAS) uses satellites as well as ground-based infrastructure to improve the accuracy, integrity and availability of basic Global Navigation Satellite System (GNSS) signals, like GPS. SBAS is already in use in the United States, Europe, Japan and India. While New Zealand and Australia currently have good access to GPS, we do not currently have access to SBAS. What is the SBAS test-bed? The test-bed is the method used to assess how a range of SBAS technologies could be used in New Zealand and their potential safety, productivity, efficiency and innovation benefits . A trial program, delivered in partnership between LINZ, Geoscience Australia and the CRC-SI. The trial programme will be carried out over two years and will evaluate the potential benefits of SBAS in the agriculture, aviation, construction, maritime, mining, rail, road, spatial, and utilities sectors. The results will be used to help decide whether New Zealand should pursue the development of an operational SBAS. Single frequency service SBAS, which is the equivalent of the systems used in the US (the Wide Area Augmentation System or WAAS), and Europe, (the European Geostationary Navigation Overlay Service or EGNOS). This technology will improve the accuracy of GPS from 5 metre accuracy to better than 1 metre accuracy. Dual frequency/Multiple Constellation SBAS. This is known as next generation SBAS and will use the recent development of a civil frequency, known as L5 for GPS and E5a for Galileo. This will provide significant performance improvements over single frequency SBAS, particularly in regions with dynamic ionosphere. Precise Point Positioning (PPP). PPP is a method that provides highly accurately position solutions with accuracy better than 10 centimetres. SBAS will provide corrections to existing satellite navigation systems like GPS. It does this by analysing data received at LINZ and Geoscience Australia’s existing networks of GNSS tracking stations. The data is transmitted to Geoscience Australia’s processing facility where the SBAS corrections are calculated and sent to the satellite up-link station and onto the satellite. The geostationary satellite then broadcasts the corrections over the Australasian region. What are the timeframes for the trial? The SBAS trial started in early 2017 and will conclude in January 2019. All three correction services were enabled from October 2017. Where will the test take place? Testing is expected to be conducted throughout the land and maritime jurisdictions of New Zealand and Australia. The trial is a collaborative project between the New Zealand and Australian governments. Implementation and oversight will come through Geoscience Australia, LINZ and CRC-SI. The project is funded in New Zealand through Land Information New Zealand, New Zealand Transport Agency, Ministry of Business, Innovation and Employment and Ministry of Transport. Australian funding is through the Department of Industry, Innovation and Science, and Department of Infrastructure and Regional Development. Who will be providing the SBAS technology for the trial? The technology for the SBAS test-bed will be provided by Lockheed Martin, GMV and Inmarsat. Will the SBAS be certified for aviation? During the trial period, the SBAS test-bed will not be certified for aviation use where safety-of-life is at stake. The test signals have been configured so that certified GNSS aircraft navigation systems will ignore the SBAS test data, providing safe aircraft navigation that is dependent on GNSS. If, following the trial, a decision is made to proceed with SBAS, it would be designed and certified for use with aviation. More information about the consideration of the test-bed on aviation in New Zealand is available from the Civil Aviation Authority. No, SBAS does not require information about users to operate. It will simply provide more accurate positioning for users of the system, similar to systems like GPS. What are the benefits offered by SBAS? This system will make existing satellite navigation systems like GPS even more accurate and reliable than they are now. It allows us to identify any errors in these systems so they can be adjusted to be more precise for New Zealand. This will make them more useful for intelligent transport systems like driverless cars, unmanned aerial deliveries, as well as precision agriculture and smart phone-based services. In the longer term, the use of SBAS could be used for air navigation. It could help aircraft to land in worse weather at regional airports and heliports without the need for expensive ground-based landing aids. There are also potential longer-term benefits for road safety and congestion management. Who is involved in the trial programme? Demonstration projects are being undertaken by university, government and private sector industry organisations across New Zealand and Australia. The projects were selected through competitive Expression of Interest processes in March and September 2017. More information on the individual projects is available on the Geoscience Australia website. Can I access the SBAS system to undertake my own trials? Anyone should be able to take advantage of the SBAS coverage during the two-year period, for free. However, it is likely modifications will be required to your GNSS receiver firmware to access the signals. It is not possible to access the PPP (precise point positioning) service outside the approved trial projects. How do we keep updated on the SBAS testing progress? All information about the SBAS testing will be published on our SBAS page, and at Geoscience Australia. To keep informed of updates subscribe to a mailing listby emailing crm_geodetic@linz.govt.nz.